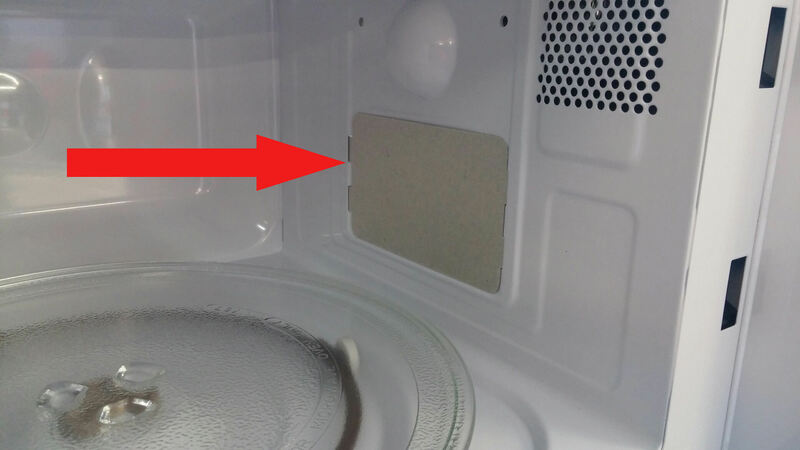 If your microwave oven is sparking or ‘arcing’ during cooking it may be that the waveguide cover is damaged. Usually the cover is made of a material called mica. Although strong and tough when new, over a period of time this cover absorbs moisture and food debris and becomes soft or breaks. If moisture or food embedded in it starts burning it will go from bad to worse quite quickly and if not replaced can cause irreparable damage to the microwave. It is advisable to replace the cover as soon as possible to prevent damage. Note: In the interest of safety, please make sure your appliance is unplugged from the mains and that the area you are working in is safe. Before you start you will need to know your model number in order that you order a replacement cover. This can be found by opening the door and viewing the information sticker located on the left hand side of the control panel. Alternatively your model number may be located on the back of the oven. Changing the Waveguide cover is an easy process. Firstly, start off by removing the screws that hold the cover on. Then, once you have removed the screws/rivets you can bend the sides of the cover in and pull off the original cover. 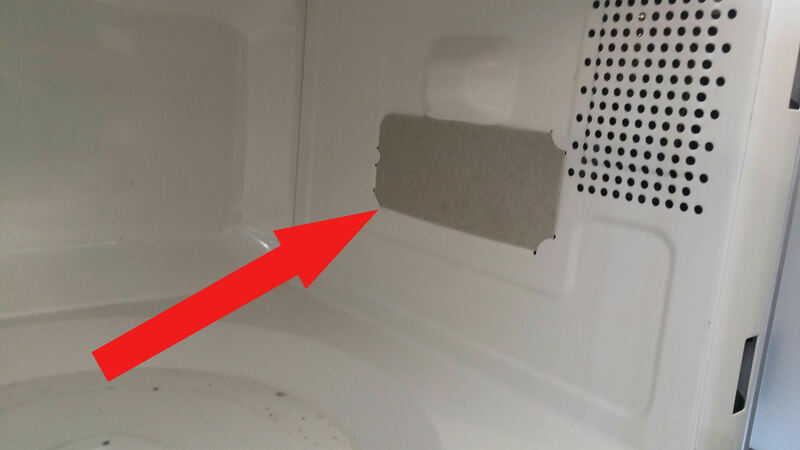 Line up your new cover in the Microwave, ensuring the screw/rivet holes line up. Please try to keep the Waveguide cover clean by wiping gently occasionally with a damp cloth after use. 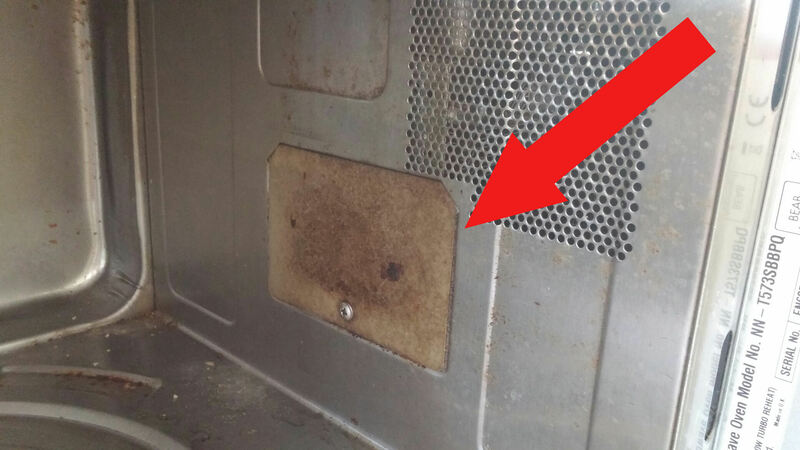 This entry was posted in Technical and tagged mica cover, microwave arcing, microwave sparking, microwave waveguide, microwave waveguide cover, sparking in microwave oven, waveguide cover. Bookmark the permalink. My wave guide cover was burned and the thing behind it hanging down looks burned too. My microwave still heats but only for a short time. If I replace the wave guide cover with a new one, will my microwave to able to cook as long as needed? The device that produces the microwaves is usually behind that cover. If that too is damaged then it would need rectifying. I suspect it is that which is causing the problem for it to cut out soon after starting. I would suggest getting an expert to diagnose the fault for you.